Check out my experience with The Mom Project at www.kathilipp.com. Head over and comment for a chance to win your own copy of the book. Admitting I’m not always the mom I want to be is hard. My children are a joy — both a surprise from God arriving at the moment my husband and I had given up hope — it feels ungrateful to admit that I’m not always present for them, that I don’t embrace every second of every day we have together. But I’m human, and I’m a 21st-century mom in almost every way. I get sucked into my phone and allow it to distract me from the girls way more than I want to admit. 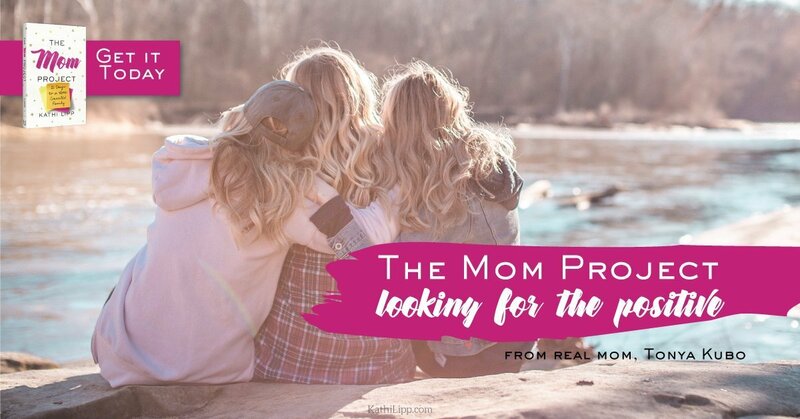 That’s why I jumped at the opportunity to test out The Mom Project by Kathi Lipp. It promises 21 activities to connect with your kids for even the busiest of moms. Head over to her blog to read all about my attempt at looking for the positive in my children and how it led me to put down my phone for an ENTIRE day. If you comment on the post at www.kathilipp.com, you’ll be entered to win your very own copy of The Mom Project. I bet you’ll enjoy it as much as I have.